If you’re looking for a safe, secure place in Tucson to store your RV, look no further than Tucson RV Storage. 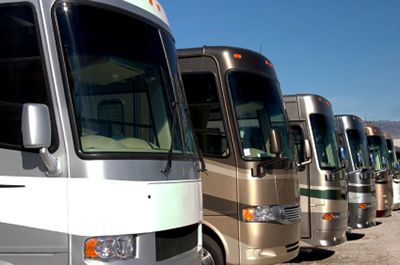 We’re the largest RV storage facility in Tucson, and we strive to provide the best experience in town, with a brand new location, great prices, and top-notch customer service. Our business is designed with you in mind. You don’t need to worry about squeezing through narrow lanes or navigating around bulky self storage units – we cater exclusively to vehicle storage. Our brand new, 17-acre facility offers the best in outdoor and covered parking for all sizes of RVs and other vehicles. You can rest easy when you store with us, because our secure location features a perimeter wall made of sturdy, high quality brick – topped with razor wire. We’re conveniently located at 5450 N. Camino de la Tierra, right off I-10 between Ruthrauff and Orange Grove, so you can pick up your RV on your way out of town for your next adventure, and drop it off again on your way home. We’re a locally owned and operated business, and we pride ourselves on our fair prices. We offer lower rates for students and seniors, and we also show our appreciation for those who serve our community by offering special discounts for teachers, government employees, and members of the United States Armed Forces. Our customer-focused approach means that you are our priority. Our office is open 7 days a week, and our friendly, knowledgeable staff will be happy to help you choose the best storage option for your needs. 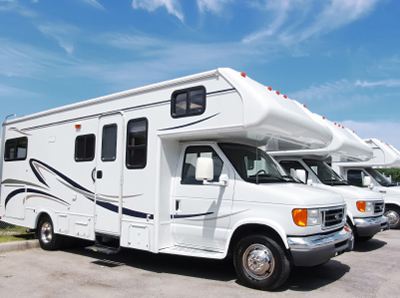 Tucson RV Storage is your best bet when you need a great place to store your vehicle. Give us a call or stop by our location today!